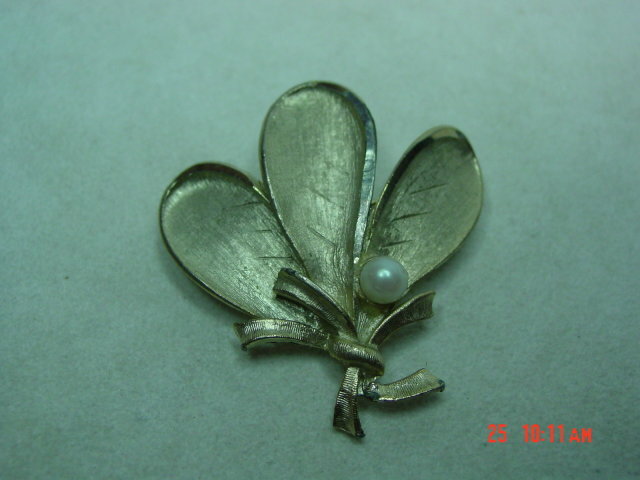 Beautiful light goldtone 3 leaf posy brooch with a faux pearl set in the middle. 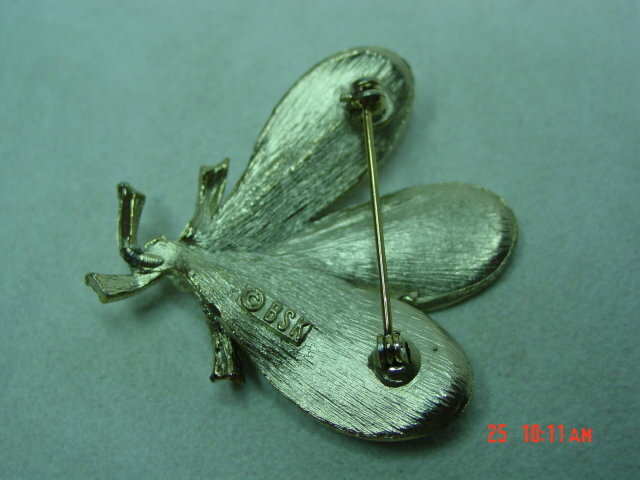 Signed BSK on the back. 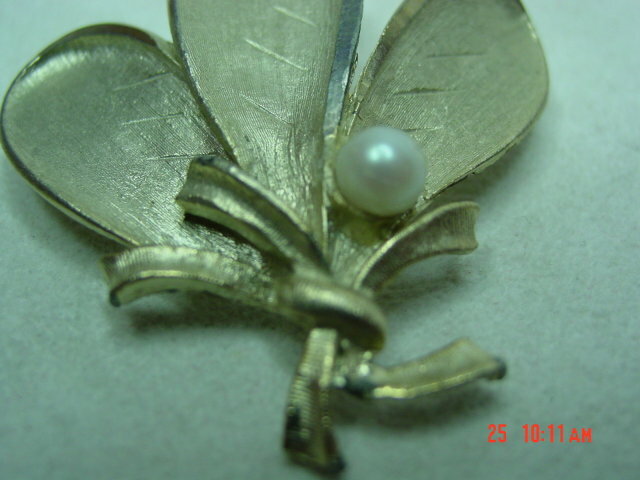 Items Similar To "BSK 3 Leaf Posy with Faux Pearl Brooch"